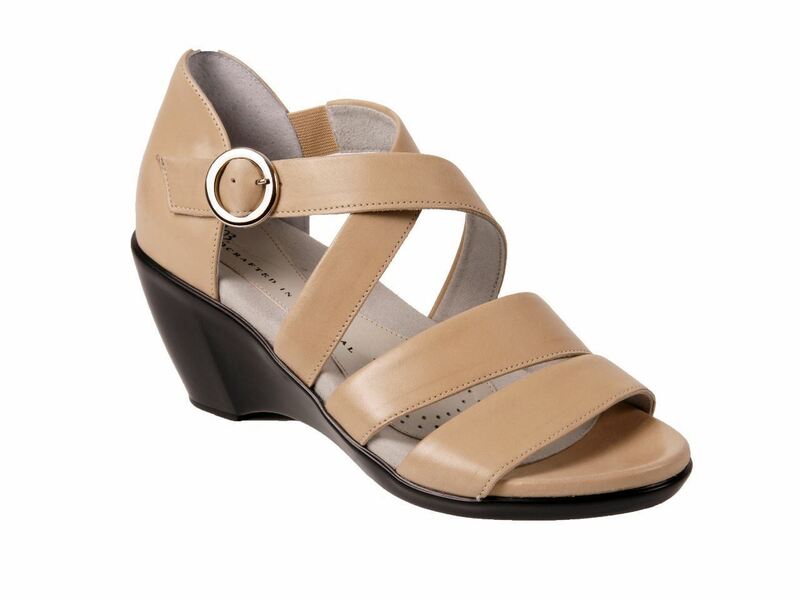 Our newest stylish leather strappy sandal; classic elegance. Genuine leather uppers with full leather lining. Flexible rubber shock absorbing sole with 2 inch heal; style and comfort in one sandal. The Horta runs a little large so order a size down. I really enjoy the sandals. The heel makes them somewhat dressy, and the comfort is great. They are elegant shoes. I wish they made them in natural tan and brown leathers as well. Quality and Comfort with Outstanding Service! 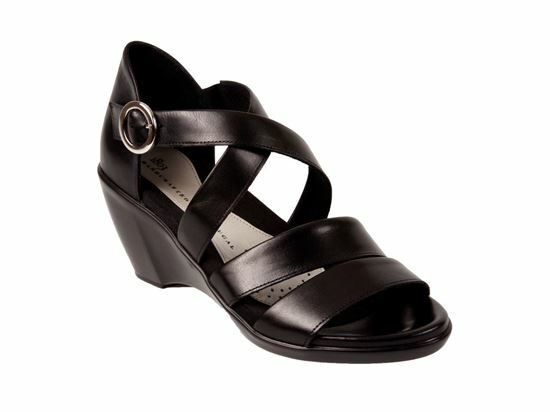 From the moment I slipped on my 1803 sandal, I knew it would quickly become my favorite. The Velcro strap provides for easy on and easy off ... no need to keep unbuckling. It is also important to note that customer service at 1803Shoes.com is outstanding ... thank you!